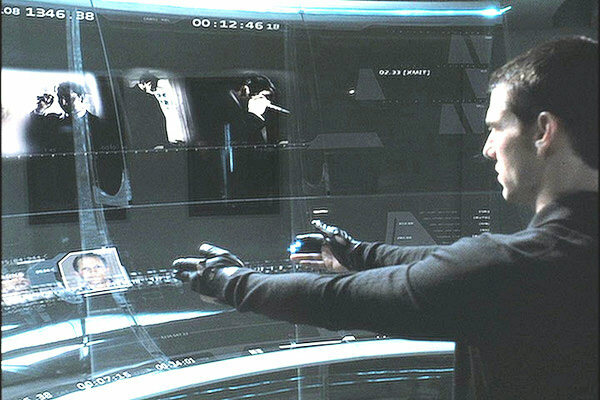 Remember the Tom Cruise movie, Minority Report? The technology/science adviser for the film, John Underkoffler spoke at this year's TED Conference, TED2010. In this video of his speech at TED (also embedded below), Underkoffler displays his G-Speak Gestural Technology System - the system Cruise used in the film. The clip is just under 16 minutes. If you can find the time, I recommend checking it out. The topic of "gestural technology" has been in the news lately with the annual convention for the video game industry, the Electronic Entertainment Expo ("E3") taking place in Los Angeles this week. Sony is promoting Playstion Move, while Microsoft has Kinect for the Xbox 360. You've undoubtedly used or have seen the Nintendo Wii technology by now. All of the above in one way or another rely on gestural technology. Underkloffer has been working on gestural technology for more than a decade and predicts that the ability to control your computer without a keyboard or mouse will be standard technology in all computers within five years.